Things in Cuba change rapidly. 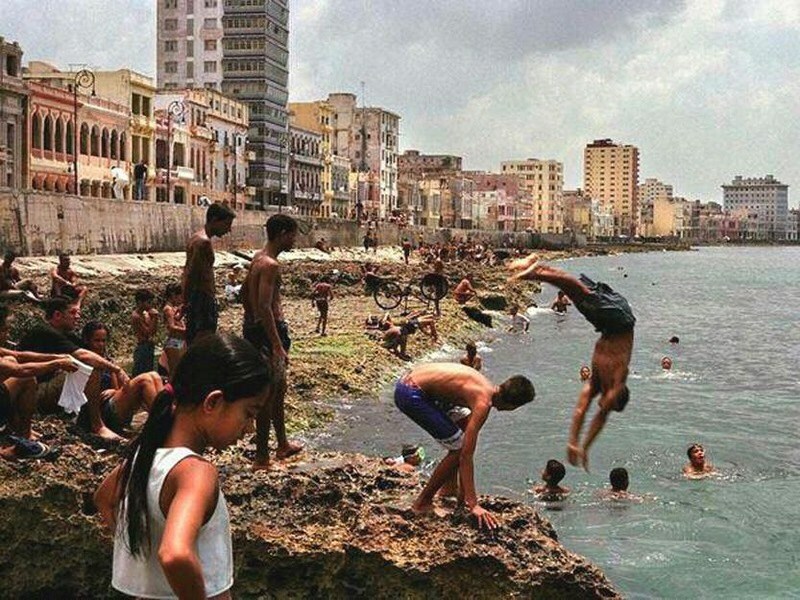 Modernization and a budding capitalist spirit are ushering in a new era for Cuba. Many great things are happening on this island, but there are also some growing pains and shortcomings caused by the new changes. My good friend Graham Wiffen has had the opportunity to visit Cuba twice in the last couple of years. He has a great appreciation for Cuba and a love for the Cuban people. He first visited the island in 2016. He wanted to directly share with fellow travelers some info about his recent trip in April 2017, about what has changed in the last year. I recently visited Havana once again (April 2017), a year after my initial visit and I was surprised as to the changes in such a short time frame. This may be an unrealistic comparison, as my first visit may not have been ‘typical’, but I thought the changes so dramatic, it was worth mentioning them. Havana was busy. Everywhere we went this time there were many tourists on the street, in the bars and restaurants, in the cars having tours of the City and on the Tourist Buses. This was a dramatic increase over my trip late June. What I really noticed was that the majority of the tourists I met were American. I even met some who were down ‘for the weekend’, so things have obviously relaxed since Obamas visit last March. This is great for tourism, but there have been a number of knock-on effects of this. More people need more places to stay and now, in every district of Havana that we visited, there were signs up on the houses saying ‘room for rent’. The number of Casa Particular’s has sky-rocketed. This is good for the visitors supposedly, as you have more choice, but it’s also means that the locals are trying their luck in the rents they are charging. More details later, but we saw a lot of rooms that were really poor at relatively high prices. 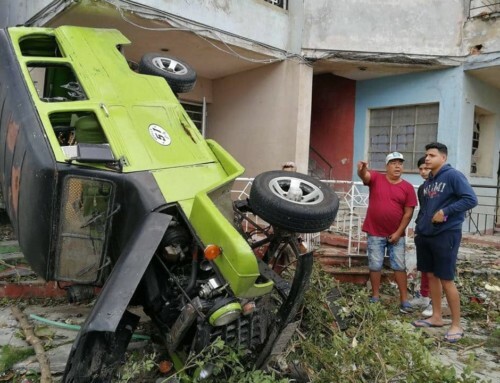 Following on from this, we understand that the Havana hotels have been speaking, or complaining, to the Government about this, as many tourists are now seeking the lower cost rents of Casas, as opposed to staying in hotel rooms. The result is that there appears to be a restriction on the licenses issued for Casa Particulares, and in the number of rooms they can offer. Another effect is that of the ‘Jineteros’, who were now in ever y part of town and have no issues with stopping anyone, asking if you want to buy cigars, food, gifts, go to a restaurant etc. This just gets annoying after a while as it seems that every tourist has ‘Sucker’ printed on their forehead. As a tourist in Havana now you are a target for anyone. So, let me explain more about the dropping of service and quality of the Casas … this from my own experience over the last 2 weeks. We had booked a casa at short notice, through a local friends referral, but we very disappointed and after a couple of nights, left for another Casa just down the road which was much better. The host here is lovely, Larissa, but the Casa is very expensive for what it is. The Casa is very small, on a main and very noisy street (with windows open onto it all the time), the air-con unit in the small bedroom is noisy, the water pressure is non-existent, so it’s a terrible shower. We were surprised too when we got the bill. It was referred to us as 35CUC a night B&B, but when we asked to pay, we were told that breakfast was not included and was 5CUC per person. In Cuba, you can get breakfast at a local restaurant for 2-3CUC, so this was very high. On top of everything else, this made our stay extremely disappointing. As a general comment, there are now so many Casa Particular’s in Havana, that you can shop around, and negotiate. It seems that with the explosion of more Casa’s being available, people everywhere are offering rooms for rent, of any size and at an noncompetitive cost, so the service level is dropping. In almost every street, in every district of Havana we visited, rooms were now available, so if you have the time (or a friend who lives there), there is a good chance of finding somewhere good at a reasonable price. Is Breakfast included? Make sure you agree this before booking or staying. We were offered a Casa on a referral from another owner (who was booked) at a rate of 35CUC per night, breakfast included. The new Casa owner said “No” to that and that Breakfast was 5CUC for 2. Then when we left and went to pay, Breakfast was suddenly 5CUC per person – which is more expensive that the local restaurant. Not the one I saw online? 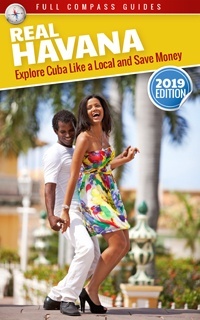 With the introduction of the internet and websites such as Air BnB now being used in Cuba, many people are booking online before they leave home. The issue here is that when you turn up on the doorstep, believing you have booked, you find that ‘your’ room has been already let to someone else. Of course, the owner has other rooms available, or can refer you to a family member or friend, who also has rooms, but they are rarely as good as the one you booked and paid for online. There is little you can do at the time, as you need somewhere to stay, but you can certainly contact the website when you can either get access to the internet, or when you get home. A disappointing start to our trip, but we made contact with an apartment just down the road, where we moved to, which was a 2 bed apartment, sole use, 35CUC per night and breakfast for 2 people at 5CUC per night. This one was much better, much bigger, quieter and with no surprises on the final bill. As a quick update, and this may not be suitable for the Budget Traveler, but definitely worth a visit. The Gran Hotel Manzana Kempinski has opened its doors on the Central Plaza in Havana, which has restored one of the oldest and most significant buildings in the City. The rooftop terrace bar is worth a visit as it offers spectacular views out across the plaza and the city beyond. 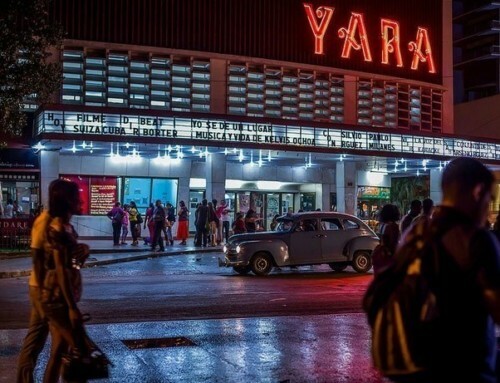 We happened to be there on its opening night, but as the week went on, word spread and this is fast becoming the place to dress up and be seen in Havana. It is more expensive that the local bars, but very similar in price to many of the more tourist-focused bars and restaurants. A Mojito was 6CUC which was similar to Havana Libre hotel or the Rum Rum bar in Havana Vieja. Also, although Guanabo gets a mention in the guide, we also visited Playa Santa Clara, which is less crowded, less locals, the beaches are more beautiful and more glorious. We tried to find details of a Casa here, and found 1 that was available, but quite expensive at 40CUC for a room only, but we ran out of time, but I would have loved to stay in this area for day or two. There was one hotel here, which looked rather dated and quite large, but at 90CUC per night, it was out of our price range. Guanabo was much busier and is on the locals bus route from Havana, so we found that this town was overrun by locals, especially at the weekend as they ‘escape to the beach’. The number of bars and restaurants is much higher in Guanabo, but the quality is not that good. One good place we did find was the Rico Rico bar which is one of the better ones we found, at a very reasonable price. I hope this helps and that your readers find it useful. Graham provides an excellent update for the changes that have taken place over the last couple of years in Cuba. More tourists, more casas, more selection but also more scams and pitfalls too. The main message is to stay vigilant when you are travelling and to keep low expectations. The hospitality industry in Cuba is nascent and although Cuban people are warm and welcoming, customer service is still often lacking. The number of tourists in Havana is heavily dependent on the months of your travel. In November/December and March/April, Havana will be packed. But by June, the city will be almost empty of tourists. 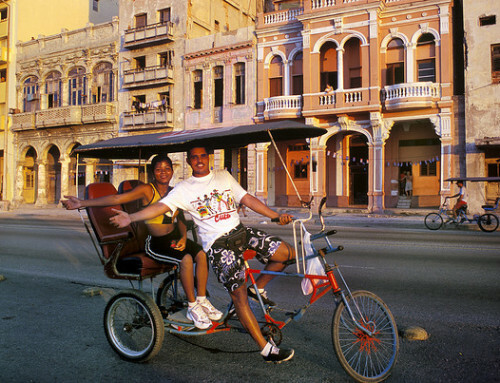 The new US policy changes will also have an effect to decrease tourism to Cuba by Americans. It will be interesting to see how it all plays out in the future. There is a huge rental casa boom in Havana and in Cuba in general. Everybody wants to make money by renting rooms in their house. Some of the new casas are of questionable quality. But even if they just earn 30$ per week, these casa owners are happy. Research your casa before visiting. And check out our excellent selection of clean and affordable Havana casas particulares. I believe that due to the recent US policy changes, tourism to Havana will start to decrease. 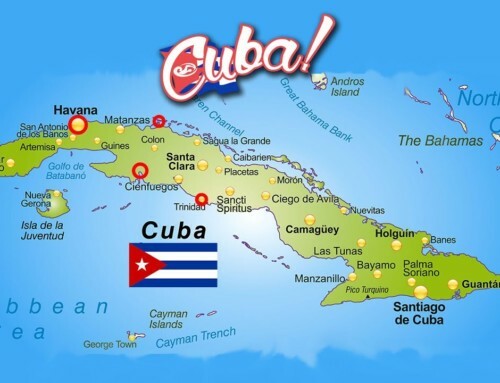 The Cuban government will try to get more international tourists to go to hotels rather than casas. The casa taxes will increase and it will ultimately weed out the bad casas. I think this will take years to happen, but it will eventually. The new breed of tourists to Cuba must do more research and be better educated before arriving in Havana. Tourists should shop around, negotiate prices and complain about bad service. Jineteros try to target everybody with scams. 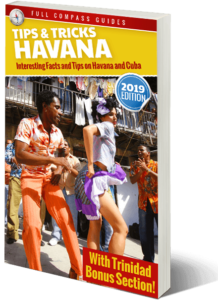 As a tourist, your only defense is to become informed before visiting Cuba so that scams and hustles can be reduced for everybody. 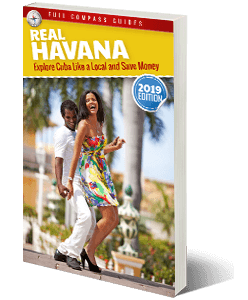 Check out the Real Havana guide to learn all the ins and outs of traveling in Cuba. Guanabo has changed a lot in the last 12 months. There were some major storms which hit the beach and have damaged it a lot. I do not think it will be repaired. The hotels in Guanabo are rather poor. The casas are ok, but without a nice beach, these casas will find it hard to draw upscale tourists. Santa Clara has a much better beach. The only issue is that there are very few rental casas in Santa Clara. Guanabo has hundreds of casas for rent. Santa Clara has mostly expensive hotels.